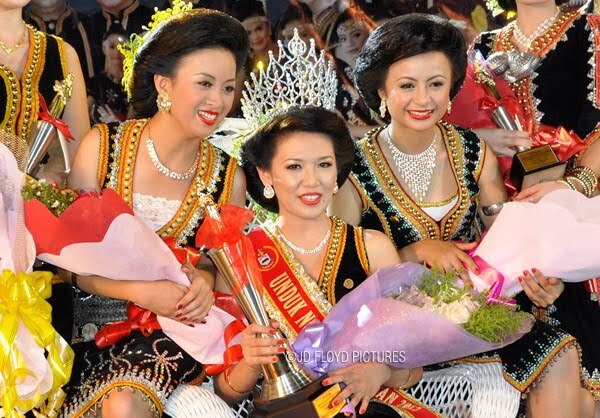 The peak of the state level Harvest Festival 2012 was marked with the crowning of the Unduk Ngadau Kaamatan, which is traditionally done during the closing ceremony. What you can expect is a packed Hongkod Koisaan KDCA hall. 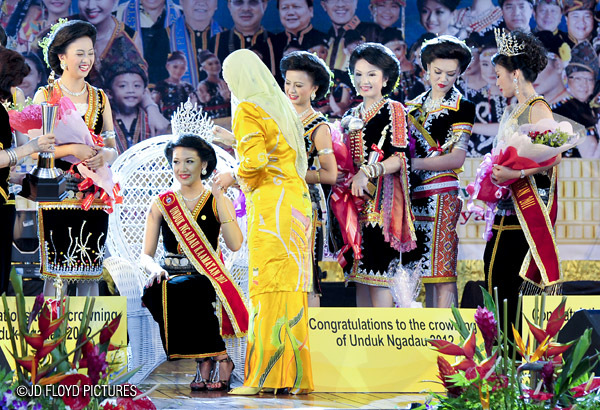 Unduk Ngadau 2012 received prizes in cash and kinds totalling RM68,80.00 and top seven get at least RM4,000.00 each. Note: This is not my photography website, hence the limited pictures uploaded here. But I will point you to my photopage for more pictures once it is updated. Please bare with me. 1st runner up, Miss Fenney Doimis (left) and 2nd runner up, Miss Meryl Foster Paladius (right). 4th, 5th, 6th and 7th place receive prizes totalling RM4,000.00 each. 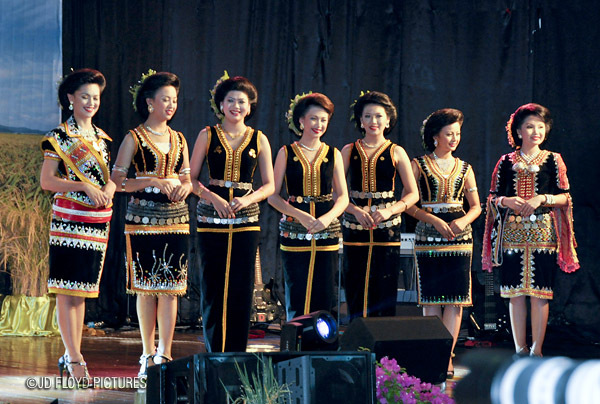 canteq ba org sabah ni. She really deserved it. wow, thanks for these comprehensive info on UNK2012. I hope you don't mind me using some of your pix for my blog. I couldn't take decent pics freely on that day haha... just hoping for photos from you guys. @t-Ba , tehr - yeah, our colourful Malaysian heritage. @Angie - please go ahead & thanks. I think there were just too many enthusiasts that day. Hope to become one of the Official Photographers one day. my first time witness this event. Really fanstatic! Hope to come again next coming year. @Helen. If you are referring to the pics in this page, yes you can save them & if you'd use them for your website I'd ask that you give due credit and link them back to my site. Thanks. Its only for my FB album. I noticed that some bloggers (Note: not any of the commenters above) are using the pics in this posting, cropping the pic to remove the watermark, which I found amusing. What's wrong with acknowledging the image owner by linking the borrowed picture/s back to the rightful image owner? It doesn't hurt, does it?